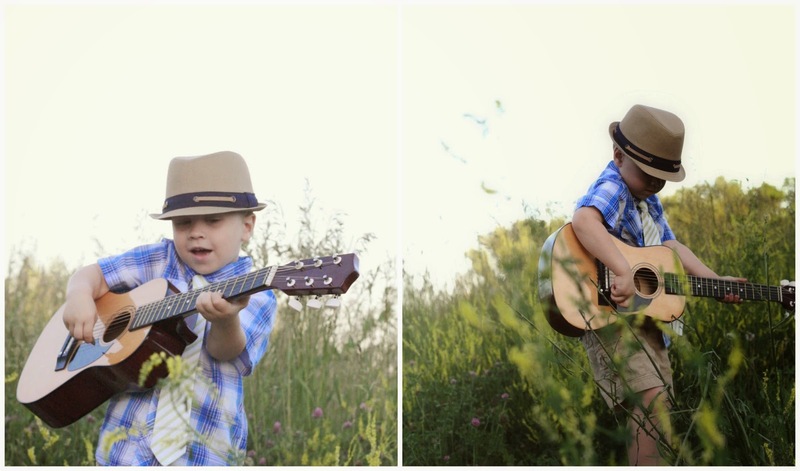 I am just a little bit behind in taking Liam's 4 year pictures. 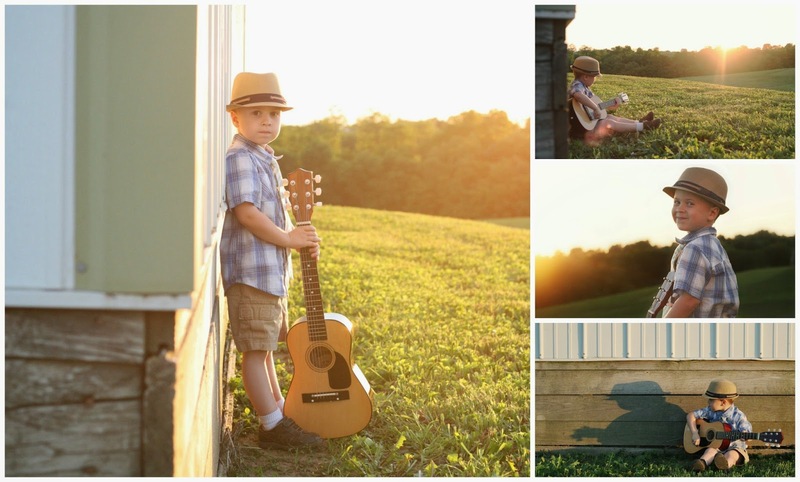 mainly because I want outdoor pictures and it is still too cold to do those in March. 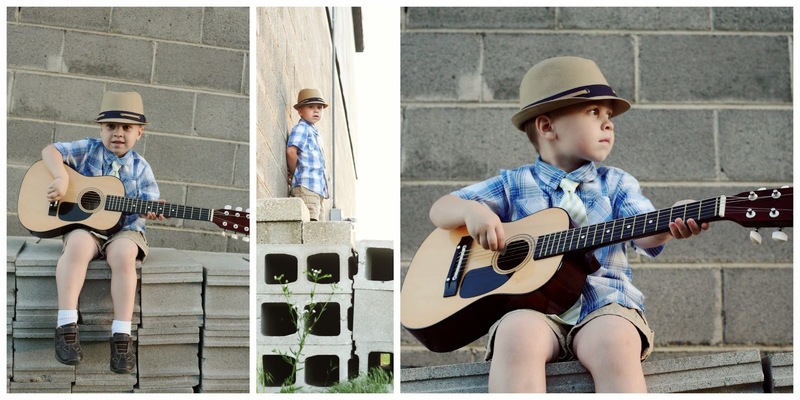 We went to several locations and he sported his fedora and strummed his guitar. This is a good representation of who he is right now. 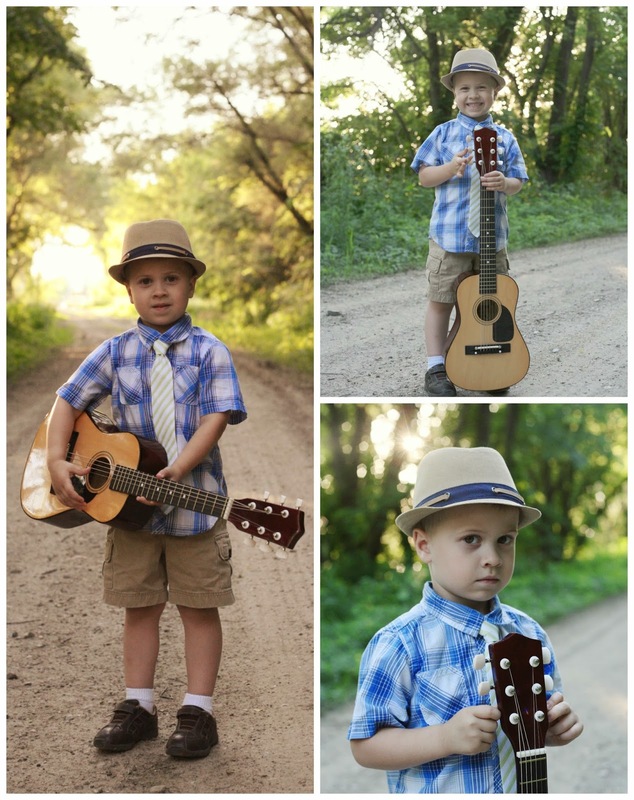 He plays his guitar all the time and almost always has a hat and tie on. and edited using a free online source. but for now... I stick with the free options.